The ride started in Everett, WA on July 18th and finished in Williamsburg, VA on August 12th. By the time we got there, we had ridden our bikes approximately 3405 miles and climbed 101,500 feet of hills, averaging 132 miles and 4050 feet of climbing per day. I didn't do this ride on my own though. I was part of a PAC Tour. 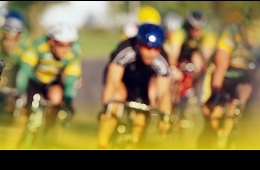 PAC Tour (Pacific-Atlantic-Cycling Tour) is managed by Lon Haldeman and Susan Notorangelo. Between the two of them, they have raced across America twenty times in a race called RAAM, a non-stop bicycle race from San Diego to Atlantic City. They won or set records in twelve of these. Since 1980, they've organized over 50 transcontinental tours, all averaging over 100 miles per day. One hundred miles a day, called a century ride, is the cycling equivalent of a marathon. To complete this transcontinental ride, I had to do more than this distance every day, for 26 days straight with no rest days. Since I have now completed the ride, you can read all about my experience in my daily ride journals by clicking on the buttons to the left. The overall route is shown on the map above. The individual day pages show a map of the approximate route, along with mileage and elevation gain estimates for the day. I also provided the address and phone number of the motel we stayed at. The PAC Tour I did was called the Northern Transcontinental. PAC Tour also does several other routes including a southern and central transcontinental, and a few shorter routes (north to south, around the Grand Canyon, etc.). 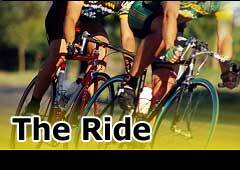 The Northern Transcontinental is their most popular tour and normally has 40-60 riders. This year, we had 54 riders including the capable crew. The riders all road at their own pace (averaging 16-20 mph) so we didn't all ride together. Support vehicles carried our gear, set up food/water stops, and provided mechanical and medical assistance as required. PAC Tour also provided a quick breakfast in the morning, and lunch on the road. We were all responsible for finding our own dinner. We stayed at clean "budget" hotels like Super-8, Econolodge, Best Western, etc. We rode every day regardless of the weather (although the weather was great) since PAC Tour does not have (did not have) enough vehicles to carry everyone. Previous Northern Transcontinental groups have run into hail storms, tornadoes, and gale force winds, not to mention the thunderstorms common to the midwest in the summer, but we managed to miss virtually all the bad weather on our trip. 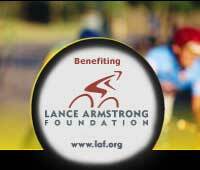 It was an adventure of a lifetime and has helped me raise lots of money for the Lance Armstrong Foundation and raise awareness for "Living Strong" with cancer. I've also included links to the ride journals of two other riders that were on the tour with me. See the links at the lower left.